A poorly performing website can have a dire impact on your bottom line. This is why smart SEO is vital. By increasing your rankings, you’ll increase traffic to your website, and reach more of the people you want to reach. Think of a website as the virtual storefront of your business. Do you want people to be so drawn to it that they’d like to take a look inside? We bet you do! No smoke and mirrors, just visibly better results. Search Engine Optimisation drives and improves your ranking on Google. This is a timely process and you will see your rankings increase on a monthly basis. It can take between 3–8 months to get to the 1st page of Google naturally. Our objective is to drive and increase the traffic to your website, thereby generating leads. Our secondary objective is to achieve that 1st page position, naturally. This is done through optimisation techniques both on your website and away from your website, making your website more favourable to Google, resulting in your higher ranking. It’s important to remember that Google will always favour the person who is searching, striving to show them the best possible results, time and again. With new site visitors come new quote enquiries, and ultimately tangible profit. We work side by side with you in order to best understand how we can optimise your website conversion rate, and to establish what that cost per acquisition (CPA) should be. The impact your business makes should never be beyond your input or control. We provide you with as much visibility and activity as possible by using optimisation techniques to rank your site higher on Google. We supply you with a detailed report each month. Performance online should always be able to be measured. How else can one see if a campaign is successful? Building an understanding of your products, services and target audience. Gain an understanding of your products, services and target market. We pinpoint your objectives. We then conduct research on your competitors in order to gain insight into how you can succeed. We are completely on top of every Google update that takes place, so we’re sure to reach your target clientele. Your business’ unique points are important to us. They help us find your potential clients and turn site visitors into customers. We perform comprehensive on-going technical reviews, designed to uncover both UX and technical SEO issues. Our technical reviews are ongoing and sustained. In this way we uncover any UX or technical SEO issues that might arise. We use the latest tips and techniques to ensure your website stays at the crest of that digital wave. From the basics, like meta content or sitemaps, through to the intricate stuff, like site speed and schema implementation, we’ve got you covered. We don’t just put out fires; we think ahead. Utilising prior research, we work to ensure that content is designed to attract and appeal to a given set of individuals. Years of research work in your favour to gaining access to your target market. While we always have SEO in mind when we create content, we refuse to simply ‘cram keywords’ into our content. The content you’re reading right now is unique, engaging and relevant. It also meets the requirements of the search engines out there. In the same way, your content for your site won’t just be ‘sausage machined’, but will also attract natural inbound traffic over time. 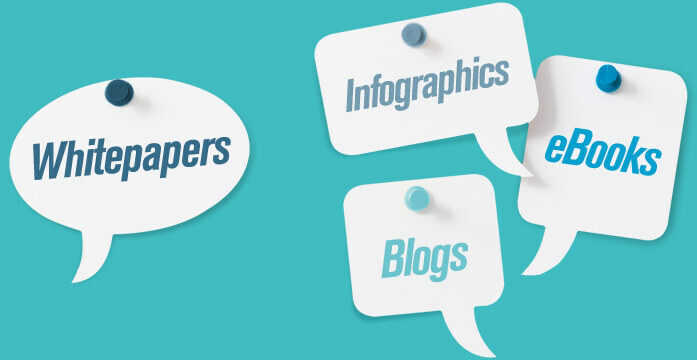 Building your audience with informative content in various forms. We build your audience using interesting content, in various forms. Our dedicated content marketing team is right on the button in terms of generating ideas, content and relationships, which lead to referrals and increased brand awareness. We don’t just create blogs because we can or should. We come up with meaningful content that adds mileage in terms of SEO activity as well as your marketing objectives. There’s nothing quite like well-placed, quality content. It’s a winner. A continual cycle of implementation, analysis and evaluation. We implement, analyse and evaluate. Implement, analyse and evaluate. Without this continuous cycle, all of this is pointless. By doing this you get the most out of your budget. Our SEO team is Google Analytics (GAIQ) qualified. The members have a keen eye for data, and a love-hate relationship with Excel. Because of this, they are able to identify what’s working, and why. Great performance is vital. Knowing why you’ve landed those great results, is priceless, going forward. Each unique industry demands a different breed of SEO. We’ve worked in diverse industries. Whether it’s pharmaceutical, the motor industry, finance or recruitment, each industry has unique challenges and requirements. One SEO ‘size’ doesn’t simply ‘fit all’. 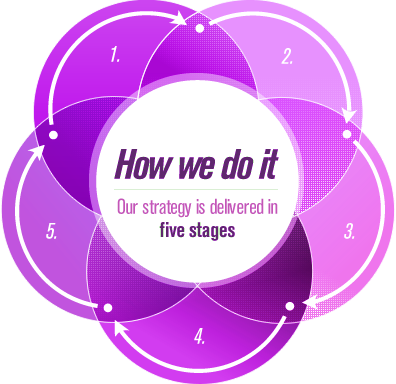 We adapt each strategy according to that industry’s needs, using onsite optimisation, client targeting, performance tracking and winning content to ensure you stay ahead of the pack. Strategies focused on creating unique content that people will love. Fuelled by our Content Marketing, Copywriting and Social Media teams, we construct content strategies that will cement your place as an industry authority. This is a crucial dimension to any campaign, as great content creates natural referrals, encourages natural shares and develops natural brand affinity. The sum of these parts? Valuable visitors and repeat business. Did you know: as many as 10% of websites currently online are inhibited by a Google Penalty! Our expertise and knowledge base are vital in identifying the reason for this, and remedying the situation effectively. Whether the problem is Panda (content) or Penguin (links), we have helped clients rectify the problem and return to growth. We have a wide range of experience in implementing SEO campaigns across many diverse industries and sectors. …and the people we do it for.